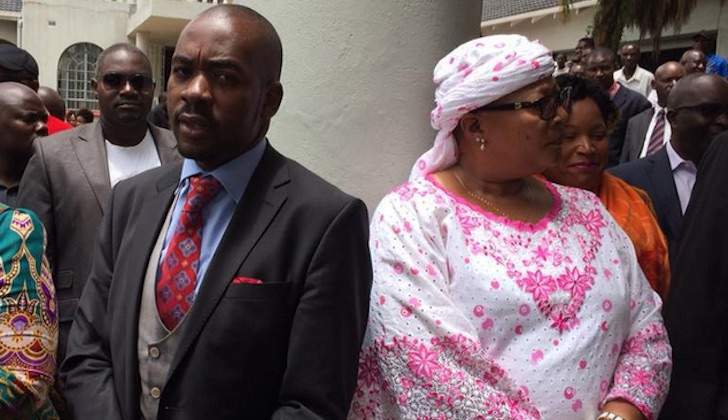 THE attacks on former MDC-T vice-president Thokozani Khupe are the handiwork of Zanu-PF, the opposition party's leader Nelson Chamisa told a South African television station late Monday. "We have done a lot. In fact we left no stone unturned," Chamisa told ANN7. "We have done everything within our power. "We launched a commission of enquiry which commission of enquiry also brought some very startling revelations that the violence that we saw at president Tsvangirai's burial or funeral was actually violence coming from our colleagues in Zanu-PF who planted provocateurs to try and embarrass our leaders," Chamisa claimed. "It's something that we have taken up with the police and it's something that we have not taken lightly. "Even within the party, those people whom we have found to be associated even as they were being mobilised by those provocateurs are certainly going to be dealt with. In fact, we have already begun the process," the MDC Alliance presidential candidate said. While Khupe and her supporters have demanded a special congress to replace Tsvangirai who died in February after a two year battle with colon cancer, Chamisa insists it's unnecessarily. "Life is not just about congresses. Life is also about respecting the organs and the organ that is supposed to deal with issues is the national council. "It dealt with issues; it chose a leader and the leader is the one who is speaking to you," said Chamisa.